An extension and internal remodelling of the original 1995 Queens Sports Centre. This planning application has been submitted to Waverley Borough Council for consideration. It involves extension and internal remodelling of the original 1995 Queens Sports Centre at Charterhouse, to offer new changing rooms, fitness suites, studios, squash courts, creche and café. 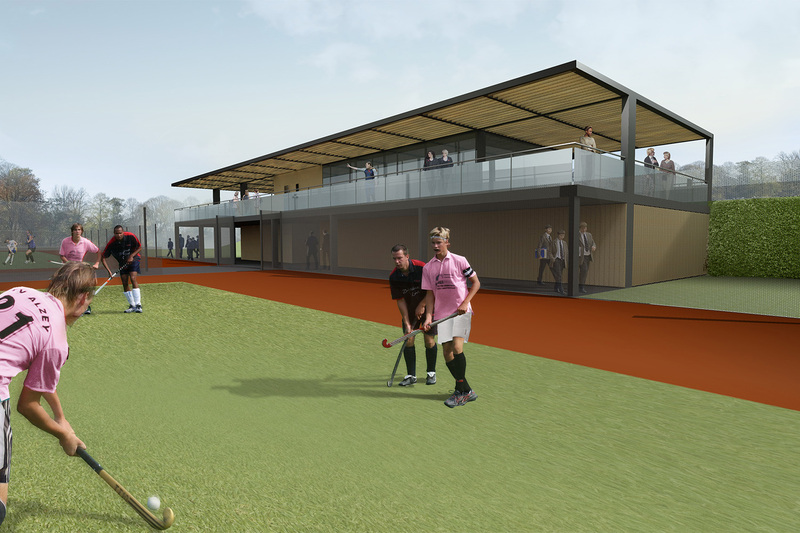 The QSC sits at the North West corner of the campus occupying a slightly raised position over looking the majority of the external sports pitches. The entrance elevation faces South-East and enjoys spectacular views across the Surrey landscape. 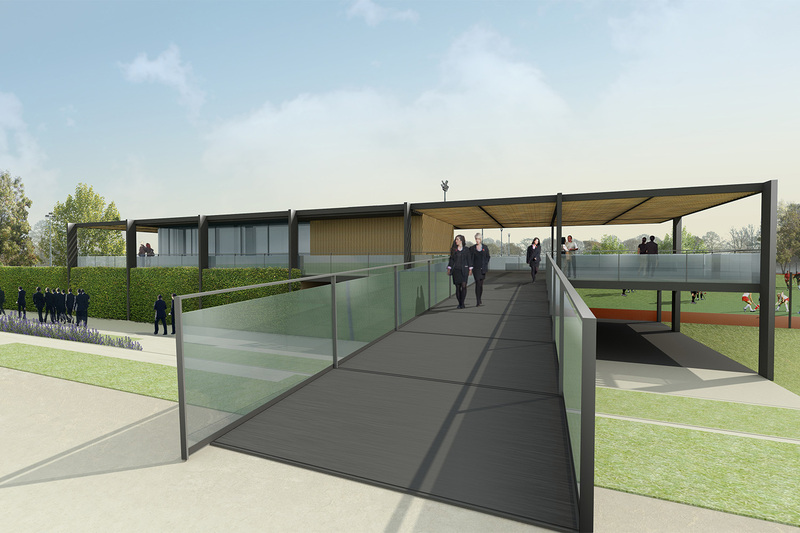 The project also includes new all weather pitches and a reconfigured parking courts on an adjacent brownfield site. 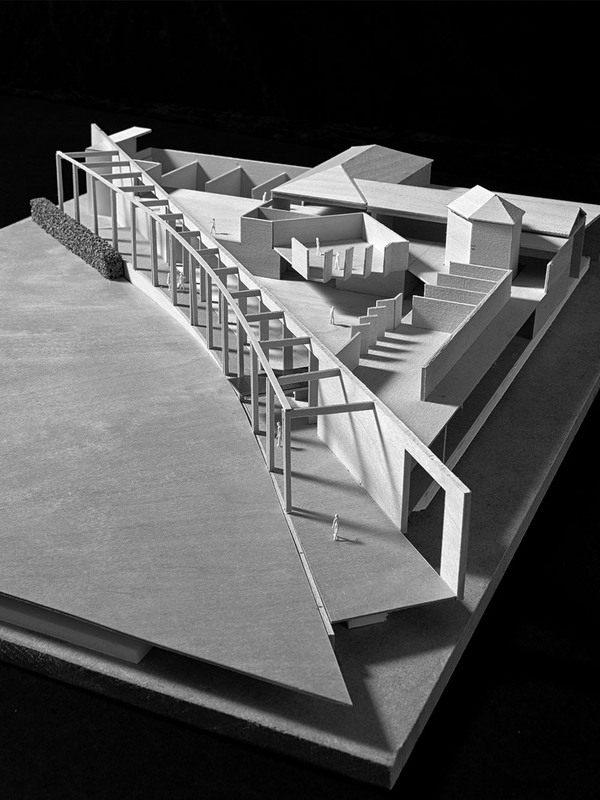 The scale of the proposed extension is sympathetic with its unique location as well as responding directly to the height of the existing QSC and making the best use of the gently sloping site. 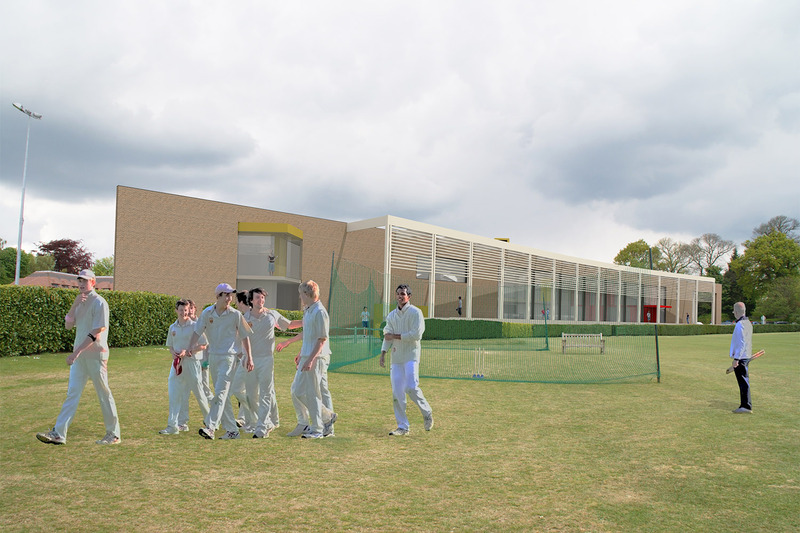 Careful internal planning has enabled the extension to incorporate four squash courts on the western side of the extension by sinking them into the ground, whilst ensuring that the overall height of the extension remains similar to the height of the existing eaves of the QSC. 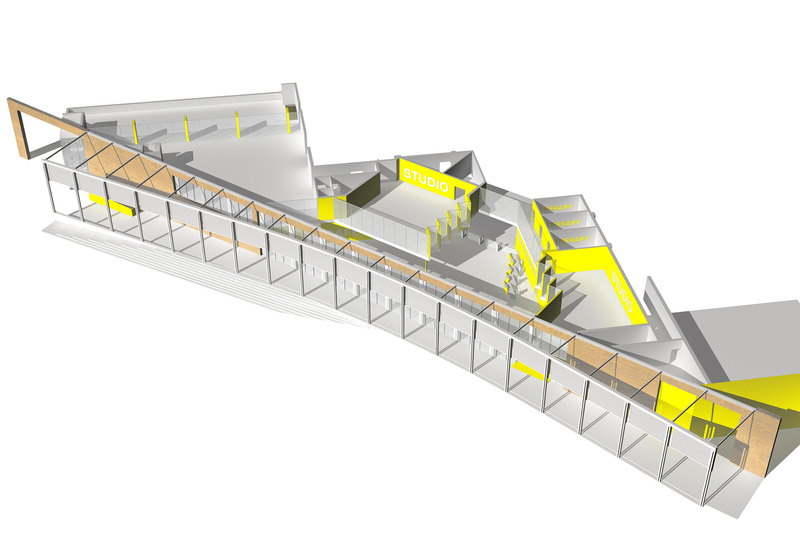 The mass of the extension is reduced further by cutting the building back on the western side by offering the roofs of the squash courts as a viewing terrace. A diagonal brick and glass wall running North-East to South-West provides the containment to the internal accommodation; effectively turning the existing entrance forecourt into internal space. A curving open colonnade is constructed from a series of double pre-cast concrete columns set approximately 4.5m apart, with each column supporting a single curving pre-cast beam tied back to main facade. 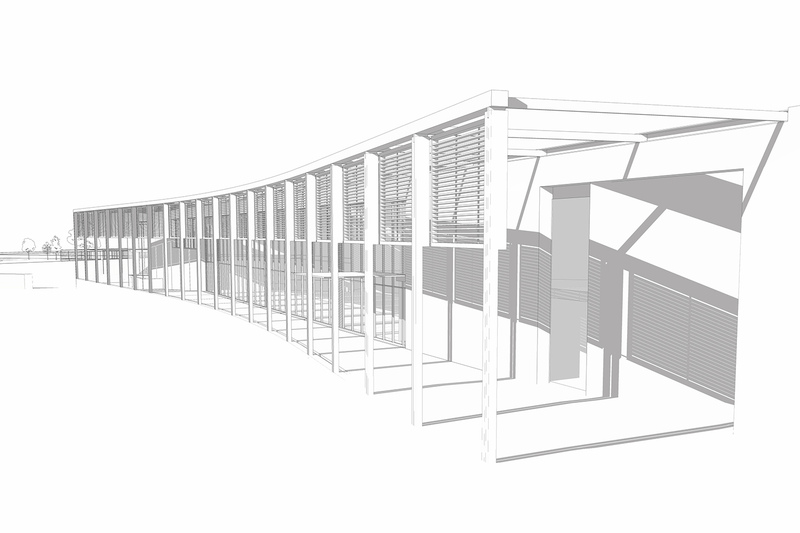 The colonnade, whilst influenced by the natural curve of the landscape and cricket pitch, also creates a dynamic relationship with diagonal brick facade encouraging people to enter the street from either end. 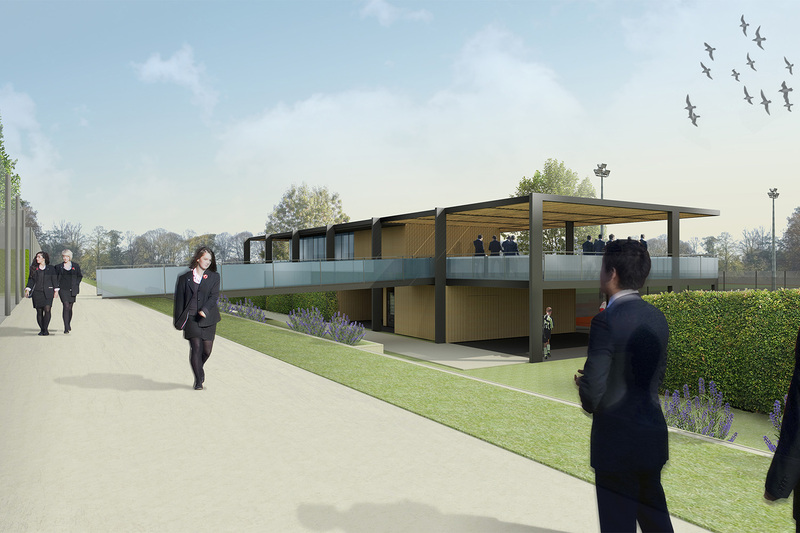 The colonnade also subtly hides a sloping ground plane, allowing wheelchair users and golf buggies seamless access to the playing fields.